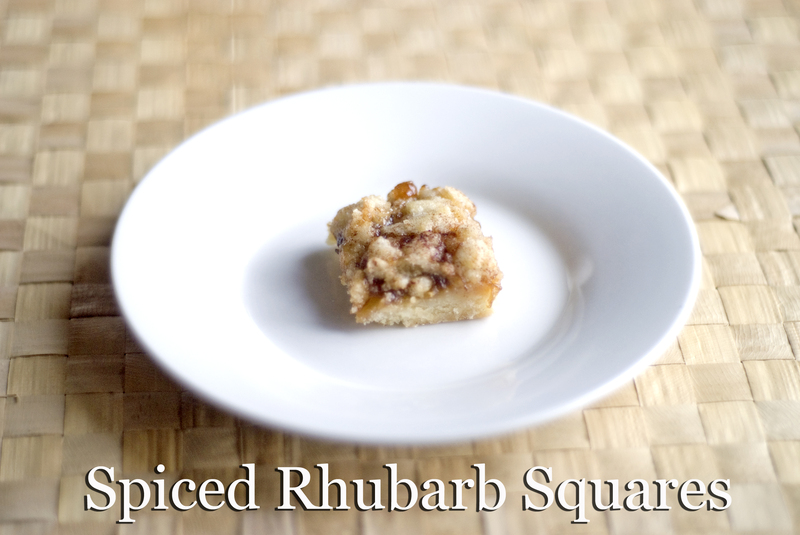 I mentioned that I was making spiced rhubarb squares at the time of posting the jelly recipe. Well, they turned out amazing. Perfect to add to that Christmas Baking collection! Preheat over to 375 degrees and lightly grease a 9″x9″ pan. In a bowl, combine flour, sugar, baking powder, salt,cinnamon and egg. Add butter and mix until it comes together. Spread 2/3 of the mixture on the bottom to create a crust using your hands. Spread the jelly on the crust and crumble the remaining 1/3 of the mixture on top of the jelly. Sprinkle with more cinnamon if desired. Bake for 30-35 minutes, or until the middle has set. I look forward to making many batches of these for my holiday baking this year!! oh, these look delicious! And quite simple, as far as baking goes. I will have to give them a try when I’m at home for the holidays. I never would have thought to make jelly! Sounds delicious.